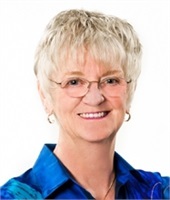 Vicki is the founder and owner of Financial Matters, an independent registered investment advisory firm. With over 34 years of experience in the financial industry, Vicki takes pride in assisting multiple generations of families across the nation. With the personal goal to be of service to others, financial planning comes natural to her. She is dedicated to sharing her knowledge and experience and to providing quality products for her clients. She holds her FINRA Series 63 and FINRA Series 7 licenses in addition to her insurance license. She is a CFP® professional and is a member of the Financial Planning Association and the Financial Services Institute. She is also a member of Rotary International and the Chamber of Commerce, having served on the board in both organizations. She considers herself an active participant of life, volunteering in her community and being of service to others.